Torquigener flavimaculosus Hardy & Randall 1983, Western Indian Ocean; Red Sea, Seychelles, escaped into Mediterranean. To 13 cm. Red Sea image. Torquigener florealis (Cope 1871), Western Central Pacific: Hawaii to Japan and the East China Sea. To seven inches in length. This image made in Shark's Cove, Oahu, Hawai'i. 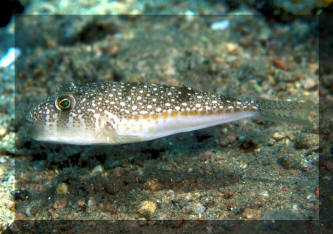 A species regularly offered is the Ambon Sharpnose Canthigaster amboinensis (Bleeker 1865). 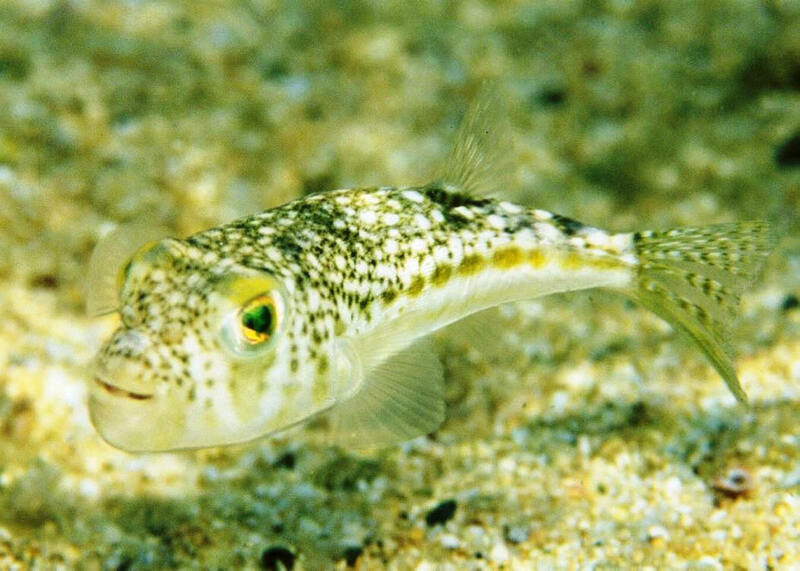 I also like the science of ichthyology's name for this species, "Spider-Eye Puffer" for obvious reasons. Tropical eastern Pacific and Indo-Pacific. To six inches long in the wild. 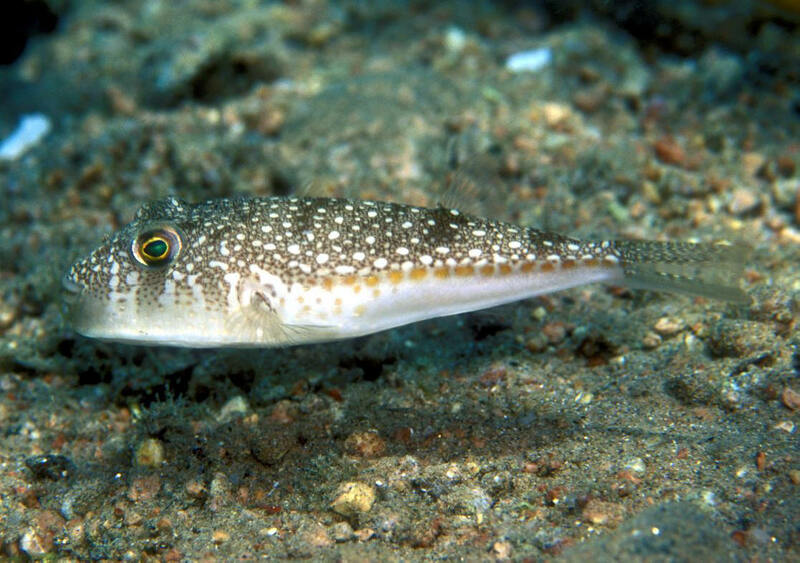 Here's one in Hawai'i..
Canthigaster bennetti (Bleeker 1854), Bennett's Sharpnose Puffer. Indo-Pacific, Africa's eastern coast. To four inches in length. 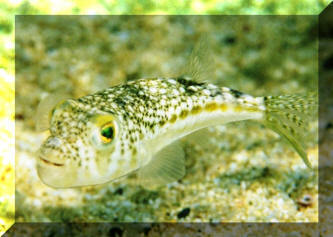 Eats filamentous and coralline algae, as well as benthic invertebrates. One in Bali.